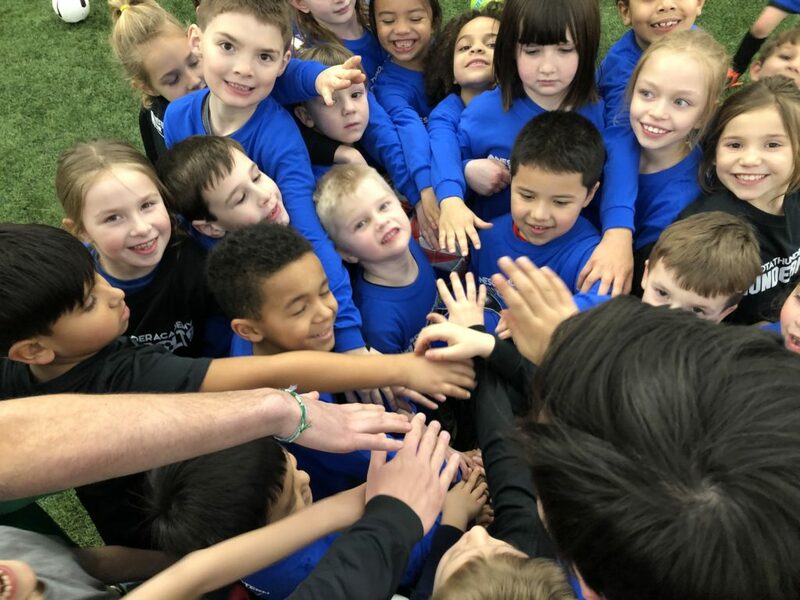 The mission of the ThunderBolts Development Academy is to offer professional training for all players at any skill level in a fun but challenging age-appropriate environment. We take great pride in providing positive instruction for each player to ensure development socially, physically and mentally on and off the soccer field. It is designed to lay a foundation for the love of soccer, self-discovery and independence for boys and girls ages 6-8. The goals are to expose each player to game-like situations, raise overall ability level and the general soccer awareness of each individual player. The program follows the US Soccer Federation Play/Train/Play philosophy designed around a player-centered approach to coaching. Players will be encouraged to have fun in the game, challenge themselves in a positive training environment and to learn to love the game of soccer! Register now for SUMMER ThunderBolts! The ThunderBolt Development Academy will be conducted by our MTA professional coaching staff. Training will be 2x week for 1 hour during Summer & Fall Seasons. Training will be 1x week for 1 hour during Winter Season. We bring together like-minded families who have a higher level of commitment and interest in soccer. We instill and foster a deep passion for the game. This passion is what will help drive and motivate the players to work on their technical skills on their own and to compete at the highest levels of play. Year-round training with the top talent in Minnesota. Highly-qualified coaches with US Soccer & NSCAA accreditation. Perfect for serious players who seek a high level of competition. Gain visibility to collegiate scouts and national team coaches. MTA provides elite coaching and technical training other clubs cannot match. They also understand how to prepare the kids for the next level. The kids that gravitate to MTA push each other to be better soccer players while being good people. The coaching is consistent. It doesn’t matter who the coach is or what level—Each and every coach is teaching the players how to possess the ball and increasing their soccer IQ. We are always please with the methods. The training, teaching of ball control and footwork, and knowledge of game strategy is hands above community clubs. Training is great! If you want to play college soccer MTA is heads above everyone else. Challenging every player, at every level, thereby giving an equal opportunity to develop to anyone who wants it. The coaching and training is excellent as well as the facilities for winter training. MTA provides a safe and effective training environment. They provide top level coaching for the elite teams and challenge the players to develop their skills. MTA provides opportunities for soccer players who are very dedicated to the sport through great coaching and playing opportunities. My son’s coach truly cares about him and every player on his team. As a member of the US Soccer Development Academy (DA) and the Elite Clubs National League (ECNL), MTA strives to be the top youth soccer development club in the country. MTA has trained some of the brightest young players in the United States who have gone on to play college soccer, professional soccer, and represent their country's youth and senior national teams.